The four programs below run under all versions of Windows from Windows XP to Windows 10. (They cannot be run on Macintosh computers except by use of a Windows emulator.) The downloadable trial versions can be made fully-functional by means of an activation key. The key can be sent immediately upon purchase of a user license (or can be obtained soon after). Updates to new versions are free. For more details and to purchase a program either click on an image below or visit our Software Shop. 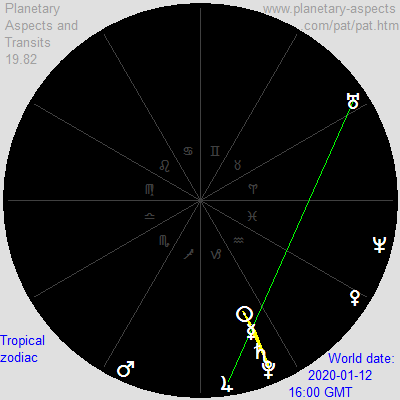 Planetary aspects occur when two planets possess a particular angular relationship with each other (e.g. conjunction, opposition, trine, square, etc.) with respect to a central point. This point is either the Earth (in geocentric astrology) or the Sun (in heliocentric astrology). A planetary transit is the period during which two planets remain continuously in a particular aspect with each other. The programs described here either display planetary aspects and transits or calculate the exact dates and times at which transits occur (begin and end) between selected planets. Click on any of the program titles or screenshots for more information about a particular program (and the user manual). Or to get short descriptions of these programs visit our software shop. The reason that none of these four programs involve an ascendant, or astrological houses, is that the ascendant (and thus any house system) depends on a geographical position (usually a birthplace). 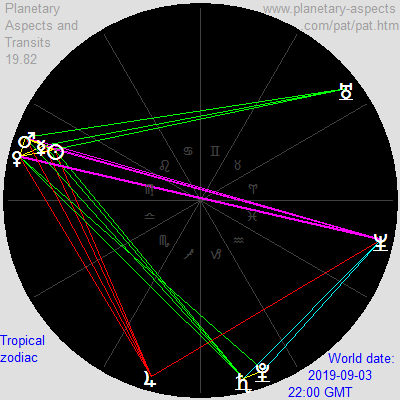 But aspects between planets, and thus planetary transits, depend only on the motion of the planets along the ecliptic as viewed from the Earth (or the Sun). Thus a planetary transit does not require, or imply, an ascendant (and thus no house system). Aspects and transits have their own astrological meaning. (Yes, astrology without houses is possible.) 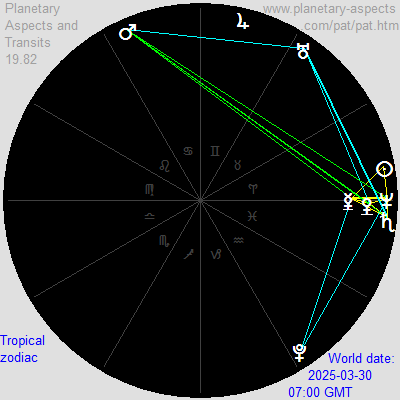 Signs (derived from the equal division of the ecliptic) are as usual, for example, Neptune is in Pisces from April 4, 2011, through March 30, 2025; and see this Su‑Me‑Sa‑Pl 4‑stellium in Capricorn on January 12, 2020). Combo offer: If you can pay via PayPal then you can obtain a discount of from 30% to 50% by purchasing 2, 3 or 4 programs at once. For this go to our Software Shop. is currently available for custom software development at an affordable rate. If interested please leave a message here.